A POET, A BARONESS, A COMPUTER GENIUS, PLUS TWO DETECTIVES…AND THEY’RE ONLY TWO PEOPLE! Meet the hottest detective duo in New Orleans–she’s Queen Latifah. He’s Danny DeVito. Or they would be if this were a movie–in print, they’re Talba Wallis and Eddie Valentino. Talba’s got the beauty, the brains, the computer savvy, the poetic soul,the youth, the right demographic, and the sass. Eddie’s got the detective agency. Also a short fuse and yes, wisdom. Not only do they make it work, they’ve got chemistry. And they need every skill and ounce of courage they can summon in this intricate tale of a decades-old conspiracy only now coming home to roost, with the murder of Talba’s friend Babalu Maya. Babalu is actually Clayton Robineau, daughter of the local banker in a small Louisiana town that bears her name, a town buried under the weight of its own malevolent past. Something terrible happened to Clayton as a child, but it was far from the usual “something terrible”. 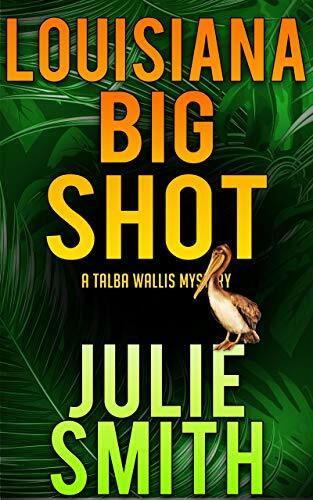 As Talba and Eddie investigate, they find it was an injury—both pscyhic and physical–so bizarre, so shameful and damning that almost anyone in town would kill to cover it up. Or so it seems to the New Orleans duo as they dodge bullets and what passes for the law in this malignant enclave, fetid with the rot of its corruption, yet determined to keep its sordid skeletons buried. Click here to pick up your free copy of Louisiana Bigshot in the Amazon Kindle store. Fun loving, back slapping, wrong guessing Dev is surprised when Bonnie, a one-night stand from ten years back, suddenly shows up in the office and hires Dev, along with his Golden Retriever, Morton to provide ‘security’ for she and her business partner Iggy while they complete a software project. Iggy turns out to have a number of issues, add to that the criminal activity of Niles Wegger as he attempts to insert a bug in the software and you’ve got Dev calling on former NFL tight end, Luscious Dixon for some special help. 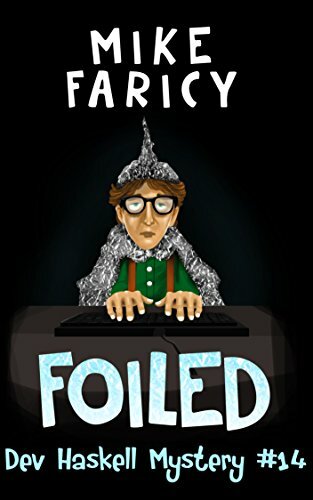 Click here to pick up your free copy of Foiled in the Amazon Kindle store. A really great combination for mystery readers who love a dash of romance! 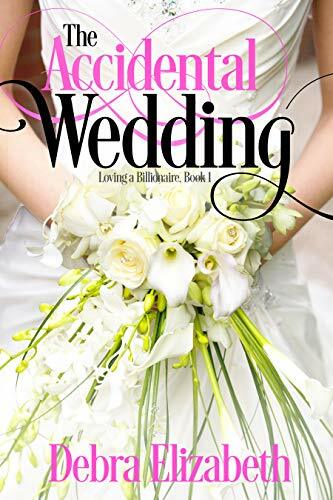 Fans of this slightly psychic cozy series will be thrilled to hear that retired psychologist Promise McNeal’s about to marry her mountain man, Daniel Allen, right about…. now! The lovebirds (along with Daniel’s daughter Susan) have flown from their North Carolina home to St. Simon’s and Jekyll Island, Ga. in search of the perfect wedding venue. But all is not well in paradise. On the Golden Isles, they find evil dressed in a summer tuxedo, a cursed Chinese chair that’s also a World War II relic, the ruthlessly ambitious TV talk show host Aileen Wang, and the secret of a sixty-year-old murder rising from the coastal fog. Really…what’s not to like? And yet…author James has more up her sleeve. Just as the wedding party assembles, someone shoots first Aileen and then kills two possible witnesses. With that, Promise trades in her bridal veil for trenchcoat, fedora, and the famous intuition that makes her such a talented amateur detective. Though not exactly qualifying for Miss Marple-hood or Jessica Fletcher status in terms of age—she’s only in her fifties—Promise will satisfy the kind of fan who loves to see a female sleuth of a certain age (and gentility, of course!) kick posterior, as Promise herself might say. 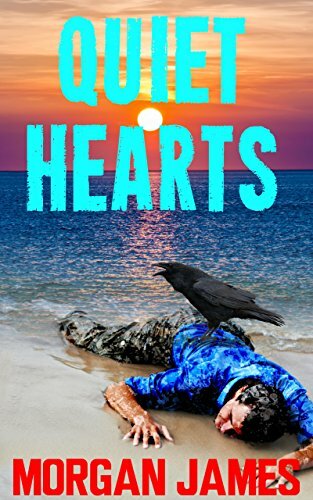 Click here to pick up your free copy of Quiet Hearts in the Amazon Kindle store. Jason Lash came to the quaint seaside town of Fairfield Bay to work in an urgent care clinic … and mourn his brutally murdered wife. … Her decrepit, white-eyed ghost, haunting his dreams, whispering cryptic premonitions of something twisted and evil hiding under the Ferris wheel. “He lurks beneath the Beast of steel and rust, watching, waiting, stalking his prey. This year’s carnival brought along a vicious serial killer. … and only Jason can save her. 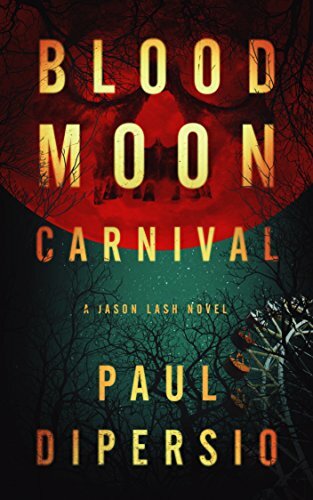 Click here or type in http://geni.us/bloodmoon into your web browser to pick up your copy of Blood Moon Carnival in the Amazon Kindle store. Click here or type in http://geni.us/t7OLe into your web browser to pick up your copy of The Accidental Wedding in the Amazon Kindle store. What can one man do to recover his home? A small planet, its wealth hidden – or so they thought; peaceful, although its inhabitants are prepared to fight for what is theirs—they call it Homeworld. A traitor helps a rival house in its attempt to capture the planet. The ruling family fights back and most are killed or captured. Steg de Coeur, directed by The Glass Complex, an ancient and self-aware computer complex, flees the planet. He gradually learns of his ability to communicate with computers, friendly, hostile, or alien. 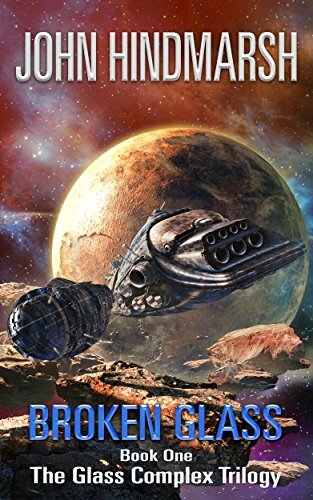 Click here or type in http://geni.us/brokenglass into your web browser to pick up your copy of Broken Glass: Book One – The Glass Complex Trilogy in the Amazon Kindle store.